Simple Parenting accessories designed for the Doona and you. Stylish, practical and stress free solutions for the busy parent on the go. 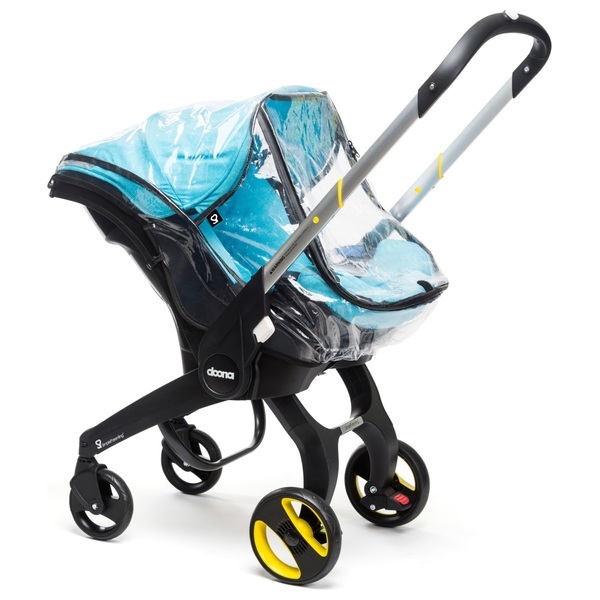 The Doona Rain Cover has been designed to have every aspect of your baby’s safety and comfort in mind. It is made of Baby safe PVC free material, incorporating side ventilation holes to ensure your baby is always comfortable whilst being kept safe and dry. The wide zipper opening provides easy access to your baby and can be securely left open with its clever fastening system. With simple snap on connectors, attaching and removing the rain cover is quick and easy and it comes with its own carry case for smart compact storage when not in use.